I've read and heard a lot from Michael Mulgrew and his Unity Caucus about how fabulous the new teacher evaluation system is. Obviously Mulgrew cannot be bothered lowering himself to mix with rank and file teachers who haven't signed his caucus loyalty oath or he'd be hearing a different song altogether. But they have their talking point set, and they're sticking with it. This is the talking point--if you oppose the junk science/ Danielson system, you therefore want to place 100% of the rating power in the hands of principals. The junk science somehow mitigates the principal evaluation even though it's largely a crap shoot. So, therefore, ipso facto, shut up and stop complaining. That shut up and stop complaining theme is very popular among Unity folk. It's pretty much their greatest hit, and I've personally been hearing them sing it since 2005. But then along comes Michael Mulgrew's BFF, Carmen Fariña, and she's singing another song altogether. In fact, she's talking about "purging bad teachers," counseling them out or firing them, whatever it takes. Now this runs counter to the Mulgrew talking point. Mulgrew says only 700 teachers were rated ineffective this year, as opposed to 2,000 unsatisfactories under the previous system. We are, therefore, supposed to spring up on our hind legs and applaud wildly. The problem is, though, that teachers don't much feel like applauding. Teachers feel the Sword of Damocles over our heads. We feel tremendous pressure to do all sorts of things that may or may not benefit our students. We worry that we will be fired for no reason. While Mulgrew can boast about the wonders of junk science and how it mitigates the judgment of those awful principals, I personally know a great, smart young teacher who was rated ineffective last year solely on the basis of test scores. Had this teacher not moved schools last year, another such rating could've led to a dismissal hearing. On one issue, I think Mulgrew is right. A lot of supervisors are incompetent. I know plenty of people working for various Boy Wonders, and their lives are a misery. I mean, if you're a vindictive, small-minded, self-serving narcissist, it's unlikely you'll inspire great work, let alone enable or encourage it. And the fact is teachers with figurative guns to their heads are not likely to be of the very best service to children we serve. But here's a fun fact--Mulgrew and his Unity Caucus have done absolutely nothing to improve the quality of administrators. It doesn't seem all that well-known that it's the job of administrators to help teachers improve. Adminstrators seem shocked when I bring that up at meetings. Rather than help those who need it, adminstrators walk around checking off boxes and consigning teachers to Danielson hell. I know supervisors I very much doubt could perform better than the teachers they relentlessly criticize. People driven by ambition rather than care for what they do are not necessarily "effective." Those who rose in the ranks to "escape the classroom" weren't good teachers, and can't be good leaders of teachers either. 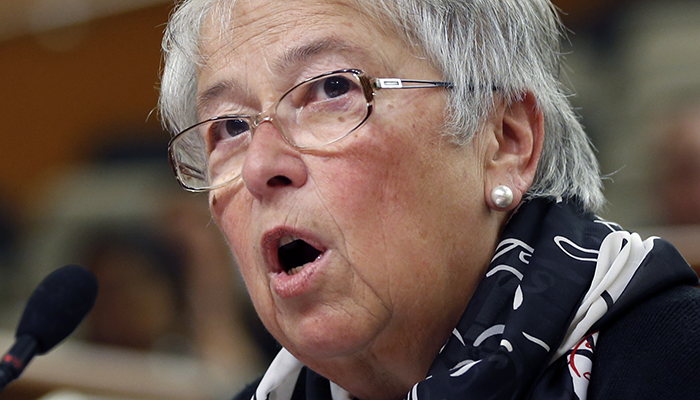 I question whether Fariña, who is on a mission to fire rather than support teachers, is really contributing either. It's pretty well known that this was her MO when she was a principal, but the fact is she not only selected the teachers, but the kids as well, rejecting 6 of 7 applicants. I am unimpressed with those who lead highly selective schools and then boast of their results. For those of us who teach in community schools and serve everyone, it's apples and oranges. 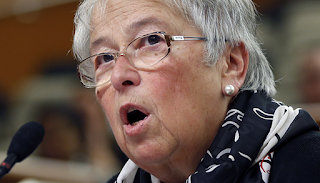 If Fariña, or Moskowitz, or anyone reformy wishes to impress me, let them go to Detroit and work their magic on a crumbling school full of high-needs kids. Until they do that, this whole blaming the teachers thing isn't going to make me jump up and down, let alone actually help children. And as long as Fariña is trying to fire her way to the top, Mulgrew's happy talk isn't going to resonate with those of us on the front lines. Maybe it's time for Mulgrew himself to be "counseled out," and turn over the reigns of our union to a working teacher.